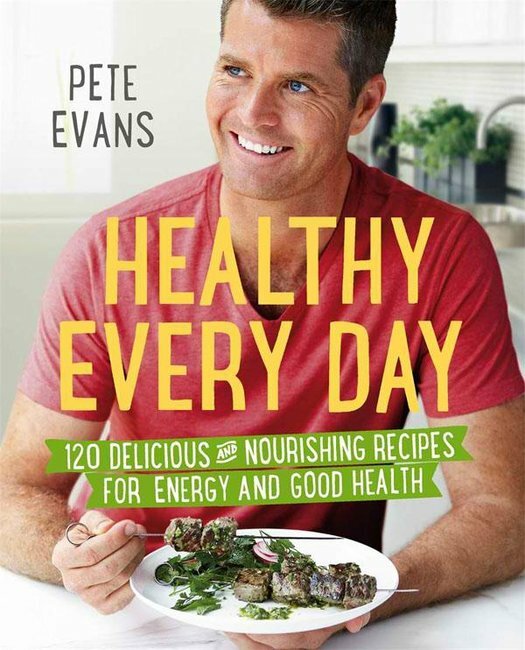 Pete Evans defends paleo and attacks dietitians. The celebrity chef – best-known for his starring role as judge on My Kitchen Rules – has published a 2100-word rant against two of Australia’s leading and most-trusted nutritional organisations: the Heart Foundation, and the Dietitians Association of Australia. Evans – who recently gained himself a qualification as a health coach from the Institute for Integrative Nutrition in New York – has been a longtime supporter of the paleo diet. For those who are a bit lost with the whole paleo thing – paelo is short for “Paleolithic”, which translates to “Old Stone Age”. 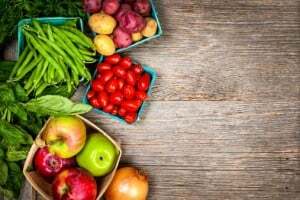 The entire concept behind the diet is that you stick with the type of food people ate back in the cave man days – meat, fish, fruit, vegetables, nuts, seeds, eggs and natural oils, and no dairy, no legumes, no grains, and no sugar. In the past, both the Heart Foundation and the DAA have spoken out against the paleo diet. Neither association advocates cutting out any food groups – particularly not grains or dairy – and so the paleo trend isn’t quite their cup of tea. Evans – motivated by a rude comment from a dietician on one of his Facebook posts – posted a Facebook rant to challenge the idea of the Heart Foundation’s tick, and also to question some of the underlying beliefs held by the DAA. “Isn’t it interesting that the people trusted to be delivering health advice for the public have come out not once, not twice, but so many times over the last year or so that I can’t keep up with it, with a media campaign to bring down the paleo way of life by saying it is dangerous,” he wrote. Why is Australia fast becoming the most obese and unhealthy nations on earth? Is this because we are a nation of self obsessed, weak minded people with no self control? No. Is it because we are a nation that for far too long has been told to steer clear of foods naturally high in fat, which naturally trigger our fullness hormone, and instead told to eat 6 – 8 servings of processed carbohydrate a day, and wonder why we are still hungry after eating 3 cups of rice or 6 slices of bread? Why has our rate of autism jumped from 1 in 10000 children in 1974, to 1 in 50 in 2014, where do you think it will be in another 40 years if it is escalating at this rate? This has grown rapidly since the guidelines have been in place! Why is the rate of mental illness including dementia and Alzheimer’s escalating at a frightening rate and we are told by the DAA and Heart Foundation to avoid Saturated fat when this is what our brains need to survived and function properly. I am usually peaceful, however the warrior in me is now ready for what’s next. I am standing up for myself as I value WHO I AM and I refuse to have this type of hatred on my page. I am seeing things very clearly though my eyes now, and at times in my life I haven’t been focused or very clear of my lifes purpose, however I have a laser focus for what I want to achieve whilst I am on this journey in this body… I am not trying to convert people to a paleo lifestyle, however I do love sharing the recipes that we love to eat. Understandably, after that passionate rant, we have a lot of questions. 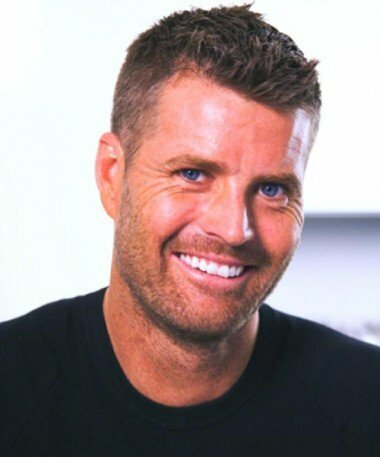 Why is Pete Evans linking autism to the healthy eating guidelines? Surely that has the potential to be misleading and incredibly dangerous. Also – where do his hardline paleo beliefs fall into place when he’s eating the food on My Kitchen Rules? Not everything cooked by the contestants falls into the acceptably-paleo category. Certainly not the desserts. We asked both the DAA and the Heart Foundation to respond to Evans’ words. The National Heart Foundation of Australia told Mamamia that they are choosing not to engage directly with the statements from Evans, but continue to advocate against diets such as the paleo diet. We support an approach to eating that focusses on nutritious, whole foods, and empowering people to take control of their health. However, our primary concern is that some aspects of the Paleo diet are inconsistent with the Commonwealth Department of Health’s Australian Dietary Guidelines (ADG). Independent experts in nutrition, working with the National Health and Medical Research Council, reviewed more than 55,000 studies in developing the latest ADG, which were released in 2013. Accredited Practising Dietitians (APDs) have years of university study behind them. In support of this, the APD credential is the only nutrition credential recognised by the Australian Government. As APDs, we base our decisions and advice on scientific fact. 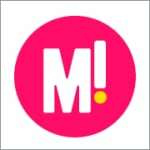 That means that in a world where ‘diets’ have become ‘trendy’ and may come and go, our advice is solid and dependable. Sadly, many Australians are in a poor state of health and confused about what to eat, so they need consistent, accurate and trustworthy information about diet and nutrition. DAA believes this comes from the ADG, and more specifically, through advice from a suitably qualified health professional. It isn’t helpful to criticise or blame DAA or our members. We are working hard to help Australians to eat better, and to provide long-term solutions to improve the health of the nation – that is what we are passionate about. At the end of the day, there’s no one-size-fits-all diet that is well-suited to everyone. And Mamamia believes that when it comes to diets and healthy eating lifestyles and all the rest of it, every single person is welcome to do whatever suits them best. Attacking two of Australia’s most respected organisations isn’t really going to help. 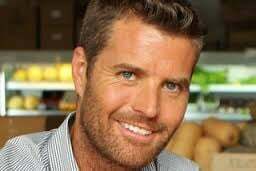 What do you think about Pete Evans’ comments?